Our team of garage doors Vienna installation professionals will come to get you all squared away with your new garage set up. 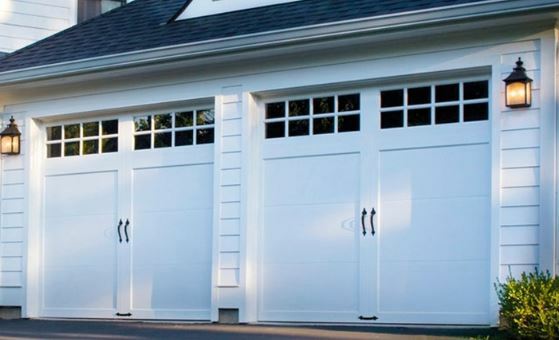 Garage doors are an important part of any home. Having a garage door protects your vehicles and belonging you have stored in your home and also help protect you from intrusion attempts. There are several types of garage doors that you can choose from depending on the dimensions of your home and the size or style you prefer. Whether you want a manual or automatic one which you can operate with a remote or keypad is up to you but are important options to consider. If you have a multicar garage then we may need to install more than one door and system on your home. A garage door is more than just a covered parking spot for your car, its also a large storage area for your belongings, tools, and toys. A quality door with help you protect yourself from getting any of these things stolen or broken by an intruder and also protect you against severe weather conditions. You can choose for your new door or doors to slide up collapsing into a roll or straight out as a single solid door like on a barn. Whether you have a manual or automatic door is up to you but both of them will require occasional maintenance to keep functioning properly. Manual doors tend to need more work as the heavy doors can be slammed by owners whereas an automatic is controlled by the garage door opening system. No matter what choice you make for you new home garage doors we will be happy to cover the different styles and materials you have to consider. Give us a call today for a free quote.